Surrounded by beautiful beaches, ornate temples and lush mountainous scenery, you will live and work amongst the famous Karen elephant-keeping communities who are renowned for the unique and sacred bond they have shared with elephants for hundreds of years. Discover this fascinating culture while contributing to the rehabilitation of mistreated elephants, learning about plant biodiversity and teaching English to the local community. Gain unique insight into the fascinating culture of Thailand’s traditional elephant-keeping communities while contributing to this multi-focused project. The internship gives you the opportunity to gain work experience in three different aspects: community (teaching), plant diversity and animal care. The community aspect will focus on teaching English to children at the local school as well as to the elephant keepers (mahouts). You will also be involved in supporting community efforts to reduce their financial dependence on their elephants. The plant biodiversity project mainly focuses on researching elephant foraging habits and working towards compiling a foraging guide based on your observations from monitoring the elephants. However, you may participate in a variety of biodiversity projects such as night hikes to look for gibbons, porcupines and other nocturnal animals, identifying unique birds and insects as well surveying the biodiversity in the forests around the village. The elephant rehabilitation programme consists of leading elephant heath checks, studying the behaviour of the heard, educating others about Asian elephants and reintroducing captive elephants into the protected forests. The rotation between the different projects affords you the opportunity to really make a difference to the communities in a variety of different ways while at the same time giving you a broad range of professional skills and experience for your future career. The internship encourages participants to develop their own ideas and introduce new aspects to help further their contribution to the conservation of an incredible species. Interns will be given specific leadership responsibilities as well a weekly assignments and evaluation from their mentors, who will monitoring their progress throughout their stay at the hub. After a successful internship, qualifying candidates may be given the opportunity to work for us or selected partner organisations in Thailand, or in other countries around the world where we operate. Over 50% of our staff are recruited from our alumni database. Living in rural Thailand; making a difference in a local Karen community; helping protect Thailand’s amazing environment; getting up close and personal with elephants; meeting people from all over the world; becoming immersed in several different project areas within the one location; living within and learning about the fascinating Thai and Karen cultures; sampling the amazing cuisine; discovering Thailand’s idyllic beaches, ornate temples and beautiful rainforests in your spare time. 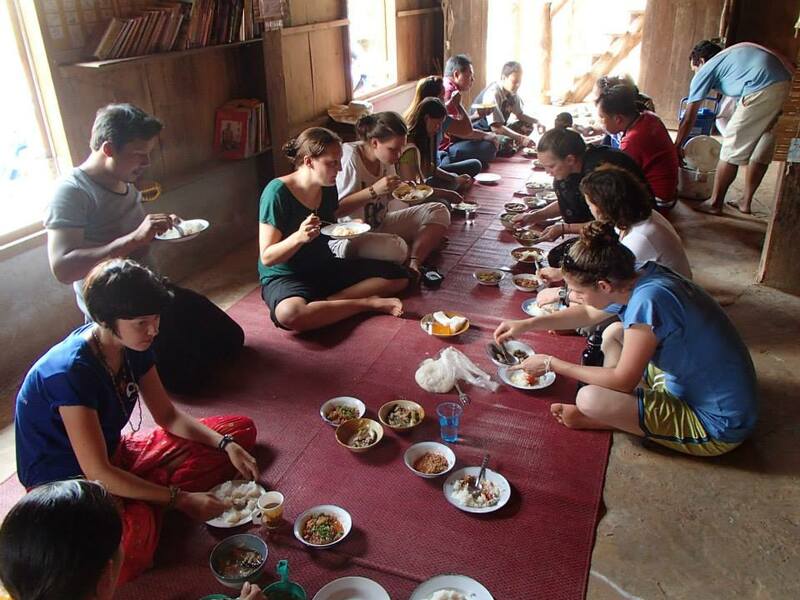 During your stay within a traditional Karen village, you will be living with a local family in a rural village. This will truly give you exposure to the local culture and traditions and help immerse yourself in day-to-day life at the local village. 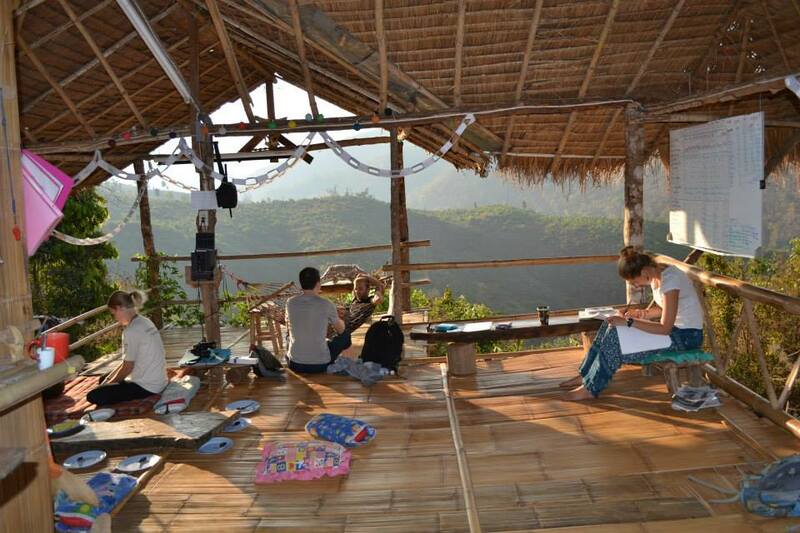 The internship will see you rotating between either the conservation or community projects. The rotation will allow you to ascertain a wide variety of professional skills and experience as your responsibilities shift throughout the course of your day. The internship in the local Karen community will give you the opportunity to experience a fascinating side of Thailand that tourists largely miss out on. In teaching English and promoting alternative income generation initiatives you will be helping to ensure that wider opportunities will be available to members of the community in the future. The captive population of elephants is regarded by many as the as the future of the species in Thailand, which is in rapid decline throughout Asia. Your conservation work on the project will see you monitoring the elephants’ behaviour and interactions, conducting forest surveys and identifying natural elephant food sources. Your time will be split between morning hikes into the forest following and observing a herd of rescued elephants as they meander through the forests. The research you conduct will be used to support a strong semi-wild population of elephants. Back at base, your afternoon will consist of lectures to learn more about elephant keeping such as how to asses an elephant’s health and conduct surveys in the forest. As this is a traditional community, you should expect to adapt and show respect for the environment and culture in which you will be living as well as act a role model for both locals and fellow team members. As part of the Leadership course, a lot of focus will be placed on developing your leadership and teamwork skillset. After returning to base from your various field work responsibilities, you will undergo extra training with your mentor. The Leadership course enables you to get more involved by equipping you with the skills to lead teams and supporting logistics. At the end of the internship, you will have the necessary skills, field based experience and certifications to begin a rewarding career in the conservation field of your choice. With the population of the Asian elephant and their habitat declining, We has partnered up with local community members and mahouts (elephant keepers) to help conserve the population and promote sustainable eco-tourism. The conservation focus of the internship will be built around reintroducing previously captive elephants into a protected forest with an overall goal of having semi-wild herds of elephants living in their natural habitat, supervised by their mahouts. With less than 1000 wild Asian elephants left in Thailand and around 3000 in captivity, our project is one of the very few viable alternatives to a future within tourist camps. Please note, we operate serious projects and internship programs and as such we do not partake in riding elephants or having them demonstrate skills learnt from being trained. In the community, by teaching English and promoting alternative income initiatives, you will be in the position to significantly improve the opportunities available to the local Karen community. The Leadership Course focuses on developing your teamwork and leadership skills. The course will involve the participants watching presentations to learn theory or working on their assignments during the evenings or afternoons after having completed their field work. A mentor will be assigned to the intern and there will be weekly one-on-one meetings to provide feedback and weekly assessment on their progress. After successful completion of the internship and the final evaluation, a certificate and professional reference will be given to the qualifying participants. Elephants can be very expensive to care for, and generally viewed as private property by locals used as a means of generating income, forced to make money through tourism because of a lack of viable alternatives. However as an unregulated industry, elephant tourism can be an ugly business. Circus elephants, for example, are trained to perform stressful and unnatural “tricks” and are often pushed beyond their limits in order to draw larger crowds. Elephants require a very specific environment, socially, mentally and physically to be able to thrive. With a huge increase in the demand for tourist camps, elephants are deprived of the need of their self-medicating diet, highly migratory urges to move large distances, complex social interactions and brain stimulation. This can in turn lead to shocking health repercussions for the elephants. 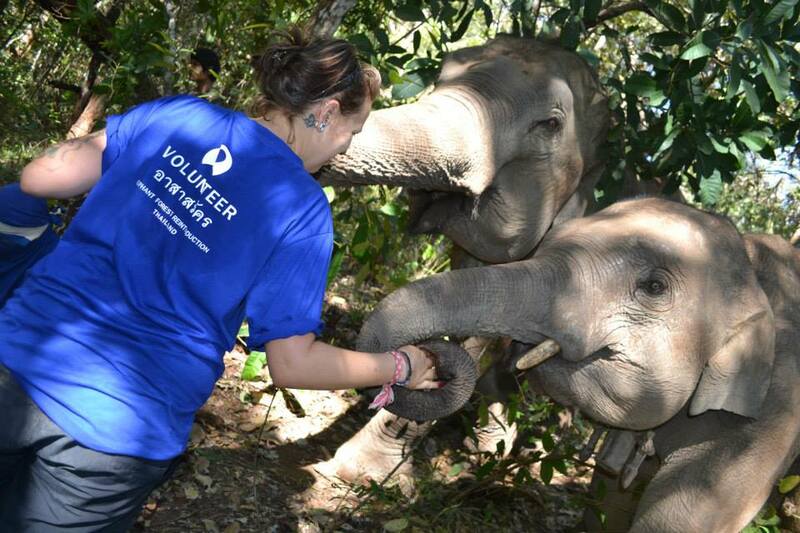 On this project, while gaining valuable practical conservation experience, you will help provide an alternative future for these elephants that lets them exhibit natural social and foraging behaviour in a natural forest environment. The threats to the long term survival of the species are very real and circus camps do not represent a sustainable future. Having a good understanding of English means the number and variety of opportunities available to the local community will be significantly increased. By teaching English on this project, you will not only be making a valuable and lasting contribution to the community, but upon completion of the programme, you will have gained sufficient experience to kick start your chosen field. Internships with us not only allow you to participate on programmes assisting disadvantaged communities or endangered ecosystems, but it also offers wonderful opportunities to travel in the local area in your down time or further afield either before or after your programme. Many decide to travel after their internship, solidifying the lifetime friendships established on the programme. Our long term field staff are a great source of advice and are here to help you make the most of your time abroad. Remember to ask about discounts on local activities and side trips through your association with us. Our Chiang Mai field teams have helped us put together the following information on trips and travel options in Thailand! Chiang Mai is quiet rural Thai village, giving you a unique chance to learn about traditional Karen culture. Learn to cook Thai and Karen dishes with community members, and learn about everyday life in this traditional setting. The location of this project is remote. Leaving Chiang Mai city you embark on a 5 hour journey into the mountains. On the way, we pass through Doi Inthanon national park (Thailand’s highest peak) and usually stop for a walk to one of the spectacular waterfalls. The programme is field based which gives you the opportunity to explore the surrounding forests on the daily hikes with the elephants. Travel and side-trip opportunities from the village need special arrangements, but the prospects for immersing yourself in the local area and village culture are huge. While on the programme, there is ample time for you to plan side trips and organise transportation. These are not part of the programme and are best taken as a weekend trip or as an activity before or after joining the programme. We are always ready to assist, provide recommendations and up-to-date information. Locally, trips can be arranged to neighbouring villages and town like Mae Chaem and Mae Hong Son. These are great places to wind down, get a traditional Thai massage or explore temples. Though we are well off the main tourist route, opportunities exist for you to go bamboo river rafting, rock climbing, visit Doi Inthanon National Park, relax at a local resort/spa, and for something completely different…learn how to make a machete, learning traditional techniques! Thailand is a country with a massive range of fantastic places that you could visit. If you have the time and budget, you could consider going to see the following; the waterfalls of the picturesque Khao Yai National Park, the local tribes of Nam Province, the beaches of Ko Tao and Mu Ko Chang Marine National Park, the golden kingdom of Ayuthaya, the temples and nightlife of Bangkok, just to name a few! Chiang Mai city abounds with tour operators offering a huge array of amazing side trips in the local province, throughout Thailand and beyond into neighbouring countries.